Joshua Lowcock is a New York based senior executive (Chief Digital & Innovation Officer) specializing in digital media and technology. Joshua has lived and worked in the USA, China, and Australia. Joshua Lowcock helps companies make the most of digital and technology. He is strategic, relentless commercially focused, and believes in building high performing teams.  You can learn more about Joshua on his personal site, or you can contact him via Linked In.